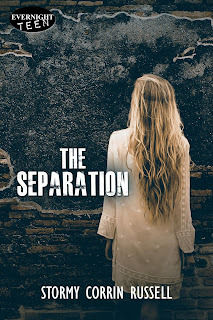 Welcome to Stormy Corrin Russell, author of The Separation. Here is her list of 5 favorite leading ladies! 1. Macbeth - Lady Macbeth.Yeah, I know, she’s a psycho. But before all the “Out, out damned spot!” nonsense, she is this amazing take-charge, I-wear-the-pants kind of lady. I can’t help but secretly love that (even though she pretty much killed the king). 2. A Song of Ice and Fire - Arya Stark. This girl is insane. Not only is she a child who completely provides for herself, she DOESN’T NEED NO MAN. In fact, she’d rather kill them all. Man, I am sensing a trend in this list. 3. Speak - Melinda Sordino. She doesn’t kill anyone, I swear! She does, however, go through some pretty serious trauma and still prevail. By the end of the book, she is one of the most empowering characters that I’ve read in awhile. 4. “A Doll’s House” - Nora Helmer. Nora Helmer is the character that made me become an English major, and even more, she convinced me to read every ounce of women’s lit I could get my hands on. Nora taught me that we are allowed to be selfish once in awhile, and so much more. 5. Divergent - Tris Prior. Not gonna lie, this was hard to choose. I had Katniss on the brain, too. But I have to respect Tris for giving up her entire life at Abnegation to seek self-understanding. Although she falls in love, it is only a step in her expedition for understanding herself. That, ladies, is the goal! 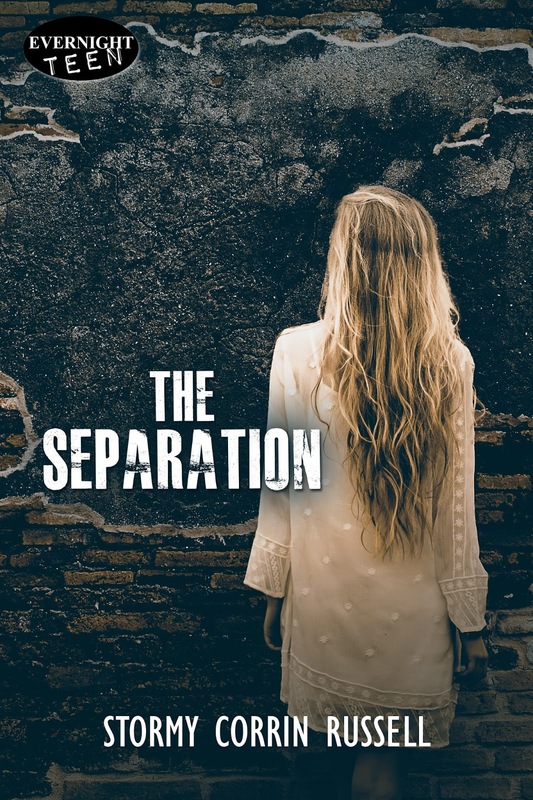 In a world where men and women live on separate sides of a massive wall, seventeen year old misfit Eroyn Fairchild has always been too busy with her broken family to wonder why they live the way they do. When a man from the other side breaks through, Ero holds him hostage, hoping for a ransom large enough to pay for her Elder Grace’s treatment. Things get more complicated as the man is followed by two others who make Ero question everything she’s ever known about her life. As Ero searches for the truth, the lines between right and wrong blur, leaving her to choose between saving her city and saving herself. One of the things I love about Grace is that she is the heaviest sleeper I know. So heavy, in fact, she doesn’t hear me dragging a thrashing body through the front door at two in the morning. For the first time in my life, I consider it lucky that we live on the outskirts of the north side. If we didn’t, I would never have been able to get it this far without attracting attention. A loud, confused sound starts to come from the net, so I kick it firmly. “Shut up,” I hiss, looking around nervously. I’m not worried about Grace rousing, but I don’t want the neighbors waking up and noticing my noisy cargo. I kick twice more, as hard as I can. Silence, finally. With a sigh, I wipe my arm across my forehead, getting rid of the sweat beading there. I sink down on the couch, staring at the large lump inside the net on my living room floor unblinkingly. Little red flowers are blooming all over the heavy white plastic, and they grow quickly. It’s blood, I realize with a sick feeling. It’s seeping through from the inside and leaking onto the clean white carpet of our house. It can’t be real. It just can’t be. I see Almond cut across the room and sniff at the lump with caution. With one movement, I scoop him up and press him to my chest in horror. For the first time, I realize the danger of what I've just done. I’ve invited a monster into my house. I’ve made a horrible, horrible mistake. It takes Luna ten minutes to get here five minutes faster than usual but it feels like hours. She lets herself in the back door quietly, but I rush into the kitchen to meet her. “Where’s Grace?” she asks with urgency, dropping her medical bag on the kitchen table. “What? No, I … this isn’t about Grace,” I stutter. I open my mouth once, then again, but it’s no use. Nothing is coming out, so I turn on my heel and tiptoe into the living room. Luna wordlessly follows, eyeing the netted form. I kneel next to it, holding my breath. With shaking hands, I slide the knife into the plastic and pull it upwards slowly. I know what it’s going to reveal when I pull the plastic away, but it still makes my breath leave my lungs in an audible whoosh. I can’t seem to inhale again once it’s gone. I hear Luna do the same next to me. “Is it a…?” She leaves her sentence unfinished, and I nod. The small slit I cut in the plastic shows a thick arm under a rolled-up shirt, far too thin for our recently nasty winter. At the very end of the slit, I glimpse a swollen throat and a jaw covered in a dark shadow of hair. A chill runs down my spine and my stomach turns. “Is he alive?” Luna asks, her voice small. “I … I think so.” I stare at the floor guiltily. “I kicked him pretty hard to shut him up.” She scoots closer and with trembling fingers folds back the plastic to see his side, where most of the blood is coming from. “Cut the rest of it off him,” she tells me quietly. I stare at her in shock. “But, he––” She cuts me off with a look. I swallow hard, and comply. 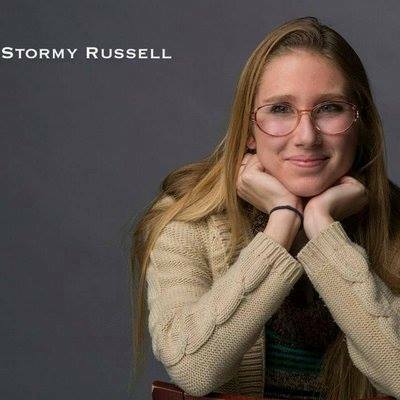 Stormy Corrin Russell is from Orwell, Pennsylvania where she first started writing from the moment she could hold a pencil. She still loves to write there and nearly everywhere else. She loves her family, the outdoors, laughing, eating, and her kitten/writing partner, Maya. new year 2019 wishes in advance for friends, family and colleagues. extremely well written article as . I will be sure to bookmark it and return to read more of your useful information. Thanks for the post. I’ll certainly comeback. Bangladesh www.sscresult2019bd.online if you want to check or know about this exam result info. Just follow this website link. You will get from our website also by SMS, APP, EIIN and also marksheet checking full process. So kindly follow it.